Complete with pirate flags, cannons, and of course a parrot in the crow’s nest. 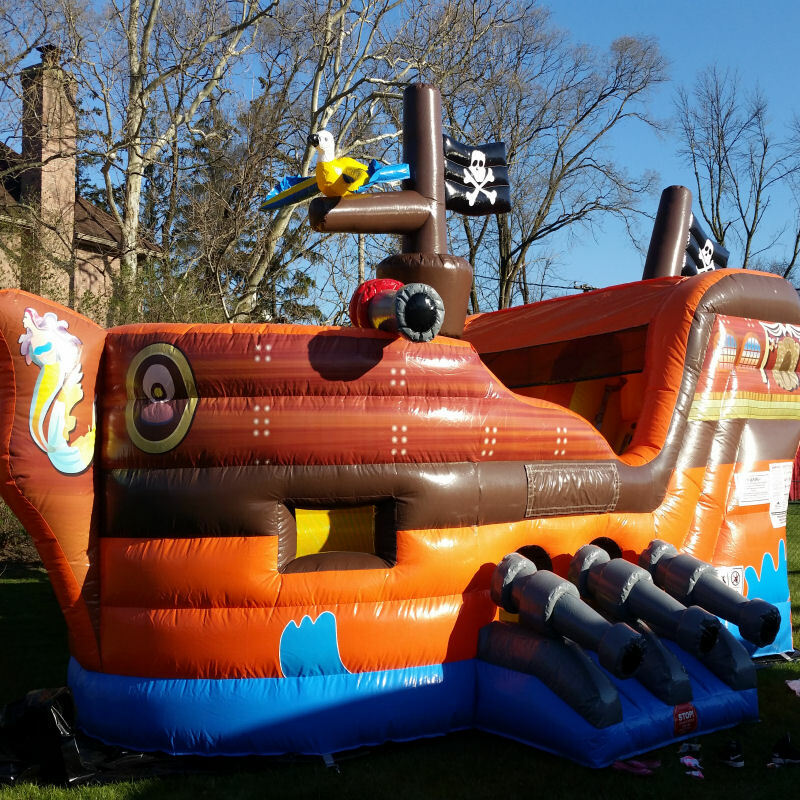 This bouncy house will provide hours of fun, pretend play, and allow kid’s imaginations to run wild! 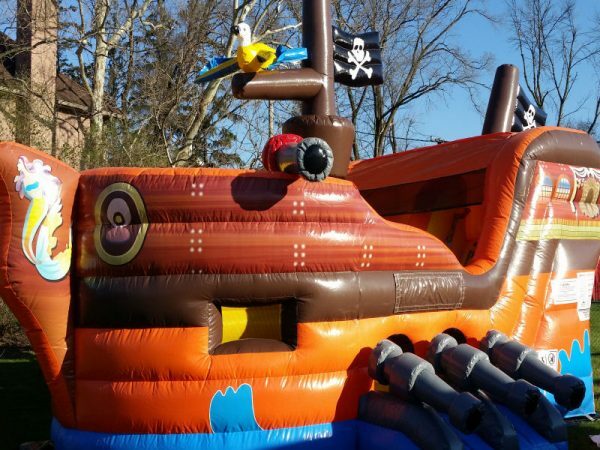 Kids can board the ship between the cannons, and enjoy hours of fun climbing and sliding, throwing a ball through the hoop, peeking through portholes, and just plain bouncing!